Managing and owning property in Florida is often lucrative; however, profitability doesn’t always come without sound business practices and hard work. 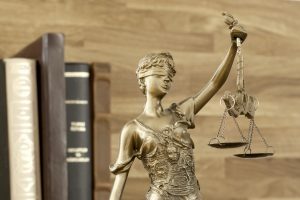 Many issues that have to be faced as a residential or commercial lessor – due to destructive and nonpaying tenants to a number of other property disputes – raise a number of complex legal questions. Landlord-tenant disputes, real estate contracts, and Florida property law disputes are serious and complex issues. As a result, you need Miami Property Management Contracts Attorney who can handle the job. Our legal team has years of experience in this field, as well as working relationships with several property management companies in the area. Our clients have the option to visit our offices, or even call us to ask questions and receive assistance with their property issue or concern. Landlord-tenant disputes, including the ones that call for ejectment or eviction actions and ensuring they are handled in accordance with all requirements and laws. Negotiation or creation of a commercial or residential property sale contracts, commercial and residential lease agreements, and other types of contracts while exercising protection for your interests. Any type of employer-employee dispute has the potential to lead to expensive litigation and a number of adverse financial setbacks. The fact is, any issue that relates to property leases and rental agreements are often complex and difficult. Having an experienced attorney on your side is an invaluable asset. This is true for both the landlord and the tenant. However, it can be difficult to find the right lawyer for your needs. If you want to have confidence in the attorney you hire, contact us today. If you run a property management company and need to terminate a contract with a property owner, there are also specific laws you have to follow in Florida. Our team of legal professionals can help ensure you handle this process properly, to minimize the potential for costly litigation. We are here to protect our client’s rights, regardless of their role in the legal situation. If you need more information or have a case that you are unsure how to move forward with, contact us today. At HLF Real Estate Law, we are standing by to help ensure you achieve the best possible outcome for the situation you are facing.